Springtime has often been called the time for “thawing” or “breaking the ice.” In other words, students should feel inclined to break out of hibernation and enjoy a warm cup of coffee at Stirling’s in the company of an attractive and interesting individual. Whether the conversation was between a man and a woman, two women, two men, or two friends with no romantic intentions, the night was a time for intellectual interactions and get-to-know-you questions. The beginning was slow with a small crowd when the doors opened at 7 at night, but the small talk quickly turned into interesting discussions between friends. As soon as everyone had a drink in hand, High provided the couples with fun and, at times, awkward questions to help keep interesting conversations going. “Where’s your favorite place to poop on campus?” was one that brought laughter and uncomfortable glances from all directions of the Women’s Center living room. White Christmas lights were set up on the wall, glowing in the background, as a group played Catchphrase in the middle of the living room. Chase Brantley and John Cochran (C’15) performed in the small library. In the next room, Cards Against Humanity was set up for a group of brave individuals in the mood for laughter. 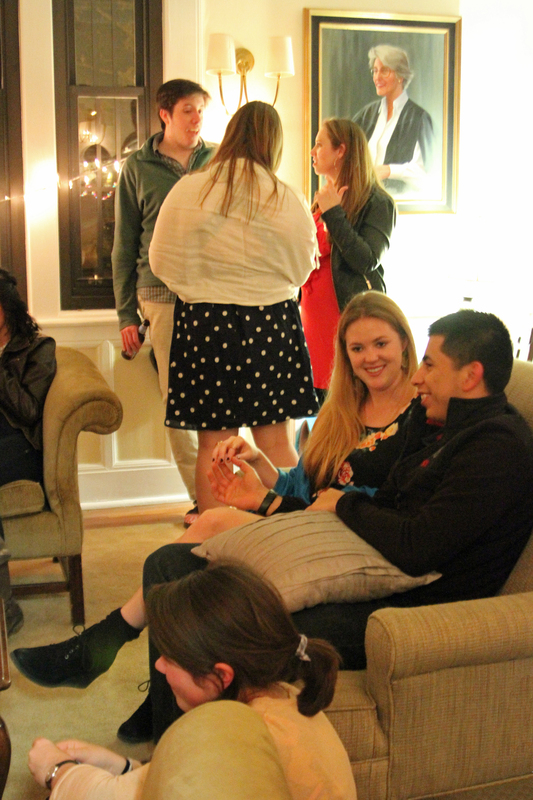 Friends got to know each other in new ways, couples got to start or rekindle sparks, and a comfortable space was certainly provided to those who were ready to mingle with familiar and not-so-familiar faces. Sometime later this semester, the Wick plans to host either another Brews with Bros event or another Date Night.